Do you know that neighborhood kid or your friend’s kid who never seems to come down with anything in the winter? You think their parents know something that you don’t. Not likely, they probably just practice healthy habits. We are right in the middle of cold and flu season. This means that parents are doing everything possible to keep their kids healthy at preschool and at home. It is estimated that there will be over 20 million reported cases of the flu this year, with the bulk of the cases falling between November and April. 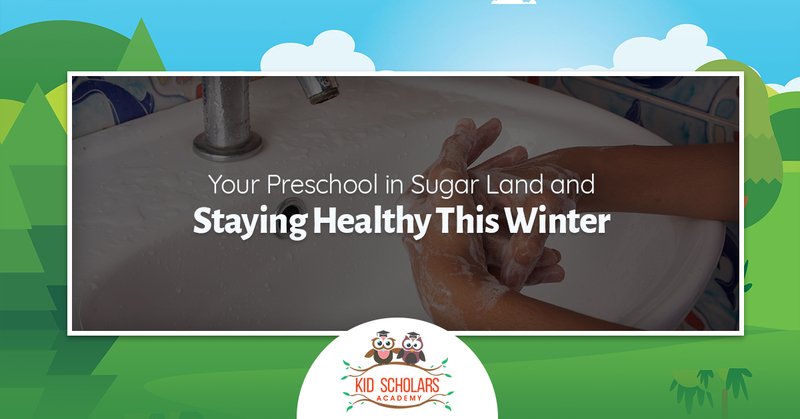 Kid Scholars Academy, your preschool in Sugar Land, offers these tips to keep your kids healthy. Your children are exposed to bacteria and viruses on a daily basis at home and at preschool. Whether it is from a doorknob, shared toy or the bathroom faucet, exposure happens quickly. The best defense is by simply washing your hands with warm water and soap throughout the day. The Centers for Disease Control and Prevention recommends at least 10 to 15 seconds of hand scrubbing each time. Staying adequately hydrated can help your body fight viruses. Water is especially important if your child has a fever. Fevers cause our bodies to lose water through sweating and evaporation. Drinking plenty of water also helps keep mucus thin and easier to expel. Your kids might not enjoy eating fruit and vegetables, but a healthy diet will help them fight off illness. A proper diet with vitamins and nutrients help boost the immune system. Unfortunately, jelly donuts and Fruit Loops won’t achieve this. Studies show that children who don’t get enough sleep become sick more often. Make sure your children are going to bed at a decent time each night. Studies show that regular, moderate exercise can reduce the number and cold and flu episodes that occur over the year by as much as 50 percent. Encourage your children to go outside and play, it will help keep them healthy. Healthy habits such as not sharing cups and utensils with friends and refraining from touching the face are important to learn as they are excellent ways to prevent getting the flu and colds. When your child’s stress hormones are elevated, it leads to decreased immunity. Make sure you give your children plenty of downtime for creative play and rest to help keep their stress levels lower. This seems obvious, but it might be necessary to quarantine a family member who is sick in order the keep the illness from spreading to others in the household. You should also keep your child home from preschool is they are sick. Nobody really enjoys scrubbing toilets and countertops, but doing so will reduce the number of germs in your home. Make sure toys are cleaned as well. 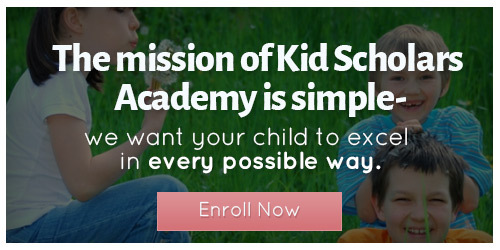 Kids Scholars Academy wishes you and your family a healthy winter. Call us to schedule a tour.